If you've read this site more than, oh, once, you probably know that I have a deep distrust of fruit in my dessert (it really does kind of dip a toe into "health food" territory). 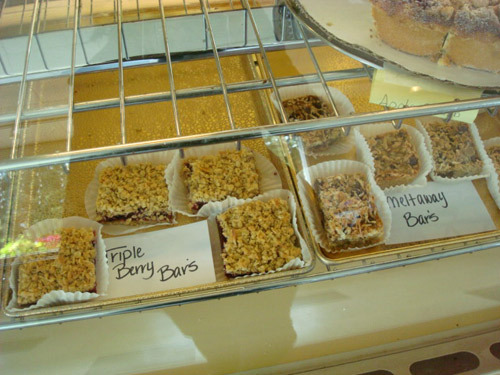 But in the case of the Triple Berry Bar from Sultan Bakery (the most beautiful sight along Highway 2 in Washington), the berries make for a triple threat of awesome. Tart, sweet, but definitely berry-like, the suspiciously healthy fruit filling (which is also sort of a lie, because I suspect the "triple berry" was made up of marionberry, blueberry, and rhubarb--which I don't think is a berry) is not dumbed down by sugar but allowed to shine in the middle--but don't despair, because there is plenty of sugar on both the top and bottom to cancel out the lack of (added) sugar in the middle. A buttery cookie base acts as the anchor for this sweet treat, and the top contains a brownsugaroatbutter topping--spaces deleted because I want you to know how it tasted--and when it all comes together, it makes for some sort of "tastes like early summer" sort of magic. 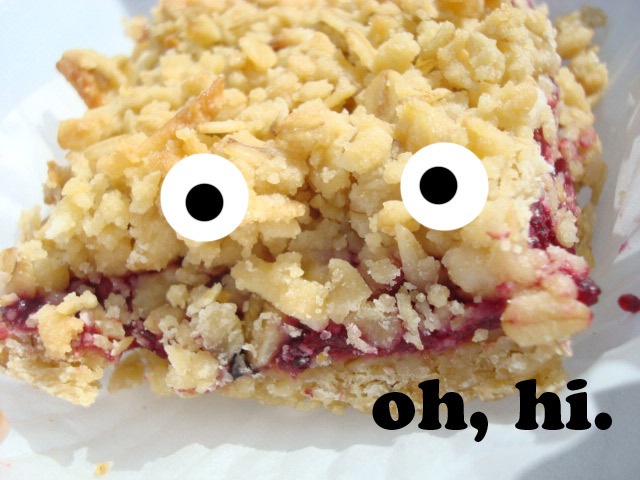 The middle is natural, but the top and bottom of the bar, baked with the natural bounty, make it...well, supernatural. 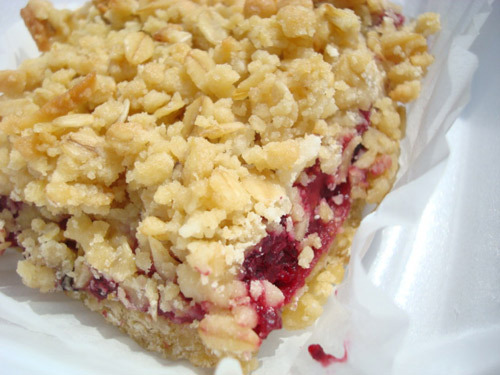 Buy some of this bliss for yourself at Sultan Bakery (also the home of delicious doughnuts), 711 W. Stevens Ave., Sultan; it's also fairly similar to the Mazurka Bar, the odyssey to the root of which and a recipe for which you can read about here.